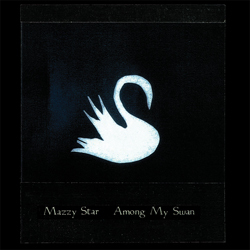 Mazzy Star’s third and final album, originally released in 1996, is a perfect finale to the band’s career, another fine LP of hushed folk-rock and gentle psychedelia. The atmospheric guitar work of David Roback and the hauntingly gorgeous vocals of Hope Sandoval are complimented here with help from William Reed of The Jesus & Mary Chain among others. Reissued on 180 gram vinyl with deluxe tip-on jacket and printed innersleeve.